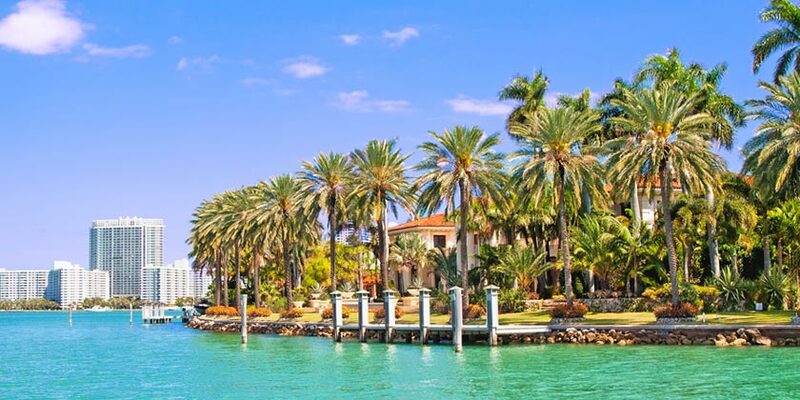 In Miami, you’ll find a gorgeous climate, endless beaches, and sensuous nightlife. Miami’s vibrance comes from its cultural diversity. Discover a big-city vibe paired with great dining experiences and shopping venues. Nightlife in Miami bursts with energy, but the ballet, theater, and opera offer additional options for a great night out. If you like to blend with the locals, you can explore by foot or by bike. Because there is no shortage of beaches in Miami, one of the best ways to enjoy your Miami vacation is to spend a lazy day at the beach. Mix it all with a variety of hotel accommodations, excursions, and tours, and you’ll never forget this trip. Take advantage of constant flights with United Airlines® to Miami and book your trip today. Don't waste time waiting in lines on vacation! With the Miami Party Pass you'll have access to all the clubs in the program, not just one. Take a tour and explore beautiful Miami. Relax on a cruise along Biscayne Bay. Top it off with an airboat ride through Everglades National Park! Explore Miami Beach and South Beach aboard a hop-on hop-off water taxi! Paddle your way through the waters of Coconut Grove and be on the lookout for wildlife -- manatees, sea turtles, and even dolphins are seen daily. Go parasailing off the coast of Miami for an exhilarating experience in this tropical paradise. Resort info: Indulge yourself at The James Royal Palm Hotel ideally located on a golden sand beachfront setting in the heart of South Beach & next to Ocean Drive. Resort info: This family-friendly hotel is in the heart of Miami Beach, and within walking distance of area shops, dining, museums, nightlife & more. Resort info: In the heart of the historic Art Deco District, and just 4 blocks from the chic shops, restaurants and nightlife of Miami. Resort info: Under the National Trust for Historic Preservation, this romantic full-service retreat provides the perfect setting for an unforgettable vacation. Resort info: Located on newly-fashionable West Avenue, Mondrian is a quiet enclave just minutes from the bustling center of South Beach.